over two months past the "best if purchased by" date. 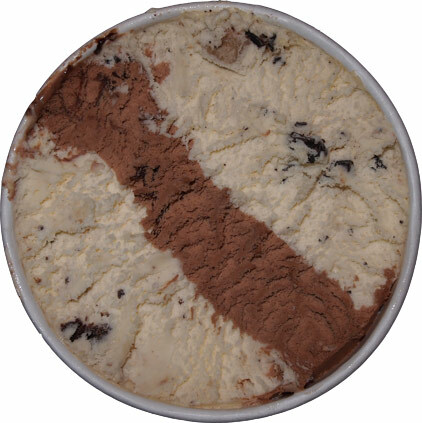 If you go back to the February State of the Freezer Address, you will see this container in the photo. Poor poor "NEW" ice cream.... New for 2011 that is. I even interviewed his slow churned brother in October 2011. 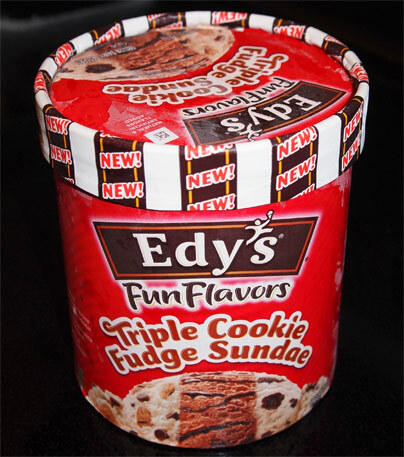 Actually, it's so bad that you can't even buy this flavor anymore because it's back to being a full fat grand flavor. ....I was still tempted to eat it. See, it still looks normal enough.... except for the fact that I scraped off the ice crystals first.... Oh, alright, I admit it, I actually did take a few bites and that dried out cookie dough chunk at the top was actually kind of crispy and fun to eat. For whatever reason, the cookie flavor aged and spread out a bit, and then you mix that in with a bit of icy grit and I was kind of amused... I swear it was only 2 or 3 small bites, honest... I think. Anyway, have a good night, I'll have something fresher for you soon enough. U think that's bad, I still have Ben and Jerry's america apple pie, snickerdoodle, carrot cake, & flourless cake. I just finished ginger snap. The ginger snap was still pretty good. 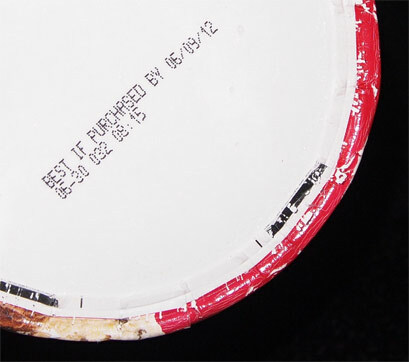 LOL, I don't see how it is possible to have a container of ice cream go past the best by date. Containers of ice cream in my house don't last more than a week! In fact, I've as of last night, I've already made it through three pints and tonight I'll finish off three other 1.5 quart containers. All of those are less than a week old. LOL, I may have a personal issue. Dubs I would have eaten it too :) I'm known for a cast iron stomach! Anyway I tried this flavor some months back and it was actually quite tasty! I only eat ice cream once a week, the other 6 days I eat clean. That's why I have so many backlogged. I didnt want to miss out on the limited time flavors.